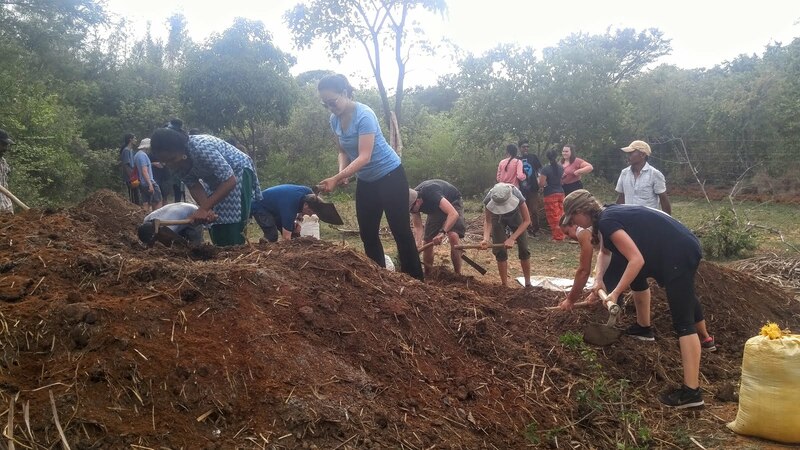 Continuing in our day away from urban life, we tested our skills at mixing compost. Continuing in our day away from urban life, we tested our skills at mixing compost. The compost is used at Navadarshanam to rejuvenate soil by returning carbon, nitrogen, and microbes to it. Large piles of compostable material freshly covered in ground up coconut hulls stood waiting for us to overturn. Mixing compost allows for aeration and addition of new materials. While overturning, we added some IMO (indigenous micro-organism) mixture like the one we prepared earlier in the day and more ground up coconut hulls. We broke for tea and another lesson on the state of farming around the world before the event everyone looked forward to: the reflection walk. We embarked on our walk to the soundtrack of thunder rumbling nearby. 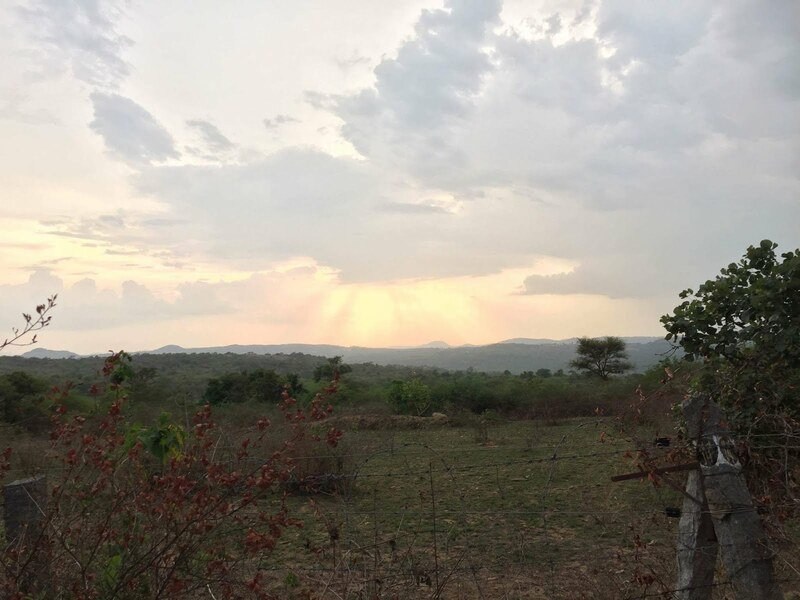 Anxiety and anticipation of the encroaching storm laced our otherwise peaceful walk around the perimeter of Navadarshanam. We welcomed the oncoming rain as a mechanism to literally wash away the dirt and sweat of the afternoon's activities, but also as a metaphorical wash of the stress and frenzy of urban life we have been experiencing thus far. Literal relief did not come during our walk as only a sprinkling of rain fell, but we thoroughly enjoyed the peace and serenity of the hills surrounding Navadarshanam.